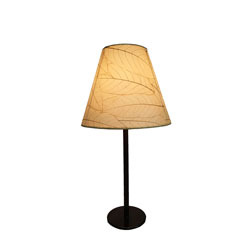 The Outdoor Indoor Mushroom Lamp series showcases classic lighting design with true outdoor function. 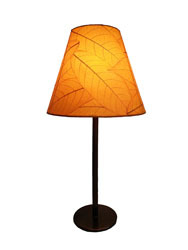 A familiar shaped shade sets on a stemed base finished in antique copper. 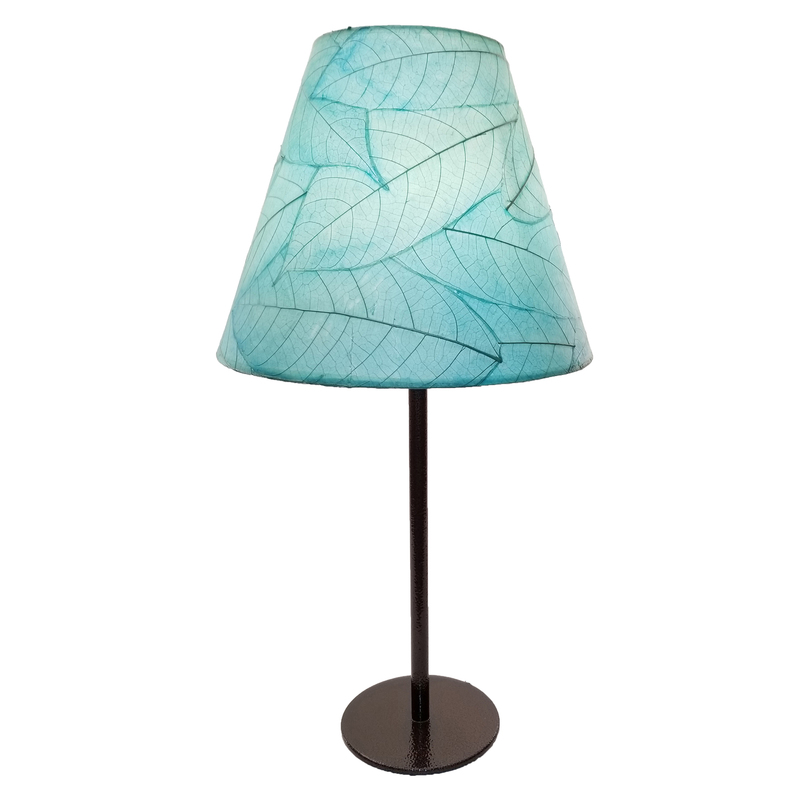 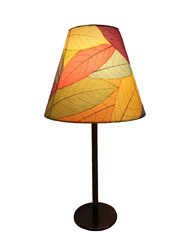 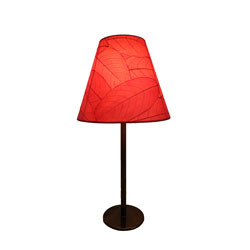 Features fossilized cocoa leaves that are handplaced on a standard UL lamp backing, laminated and formed into a traditional lampshade shape. 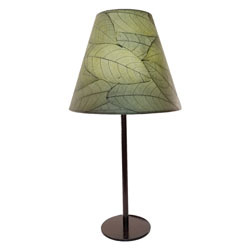 The shade is handstiched onto a powder coated, wrought iron frame. The shade sets on a heavy stem base.